It launched the Ku Klux Klan and the Anti-Defamation League. It inflamed a community and ignited a nation. It brought out the worst in people and the best in people…. It is the tragic story of Leo Frank – and it happened in America. Standing trial for murdering a Christian girl as crowds outside the courtroom screamed for his blood — intimidating witnesses, jury members, judges and politicians — the evidence against Leo Frank was so full of holes that the judge later declared that he was innocent. The lawyer of his main accuser eventually acknowledged that the accuser himself was the murderer. Yet, none of that was able to stem the tsunami of anti-Semitism. Even as convincing new evidence demonstrating his innocence came to surface, a mob – later discovered to include high-ranking politicians and prominent Georgian community members – abducted Frank right out of prison and lynched him. Terrifying and infuriating, the story of Leo Frank touches on so many raw nerves that even today, almost a century later, people are afraid to bring up the subject for fear of inflaming old passions and stirring old hatreds. August 6, 1913. The atmosphere in the streets is fraught with tension. Frenzied hordes march around government buildings, wielding rifles and other weapons. They surround the courthouse where the trial of a Jew falsely accused of murdering a young Christian girl is taking place. “Hang the Jew or we’ll hang you!” the crowds shout raucously, brandishing their weapons. “Kill the Jews who killed our savior!” resonates in the street. The atmosphere is reminiscent of the medieval pogroms of Europe. Rabble-rousing sermons by local priests and other anti-Semitic leaders have aroused the passions of the ignorant masses. And the minority of rational, level-headed individuals are simply too intimidated to take a stand against the blatant injustice and rabid anti-Semitism. It is just too risky. It reads like an old-world legend from the Middle Ages, but incredibly this happened in the twentieth century in the United States – land of the free and home of the brave. The city was Atlanta, capital of Georgia. The frenzied hordes wielding rifles and other weapons were red-blooded American citizens. The government building they surrounded was the Fulton County Superior Court House of Atlanta. The governor of Georgia, a respected and popular man, is trying desperately to keep the situation under control. He has called in the National Guard and the military to protect Jewish neighborhoods. Privately, he has prayed that justice prevail and that he will not have to use force. However, he does not, at that point, fathom how deep the hatred runs and how inflamed the passions have become. Neither does he know the steep price he will pay for trying to help the hapless Jew. This past August 17 marked the 96th anniversary of that dark chapter in American history, when an innocent Jew named Leo Frank was lynched by a group of Americans, not exclusively by low-class, uneducated street ruffians, but by the elite of Atlanta society, including elected officials and judges. 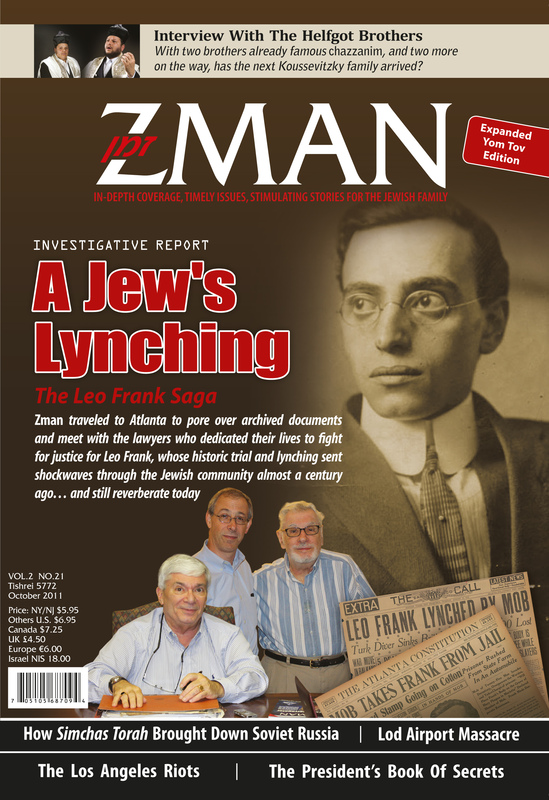 Zman headed south on a fact-finding mission to the Jewish community in Atlanta to speak with community leaders, relatives and others well-read in the Leo Frank saga who have invested much effort clearing Frank’s name decades after his brutal murder. 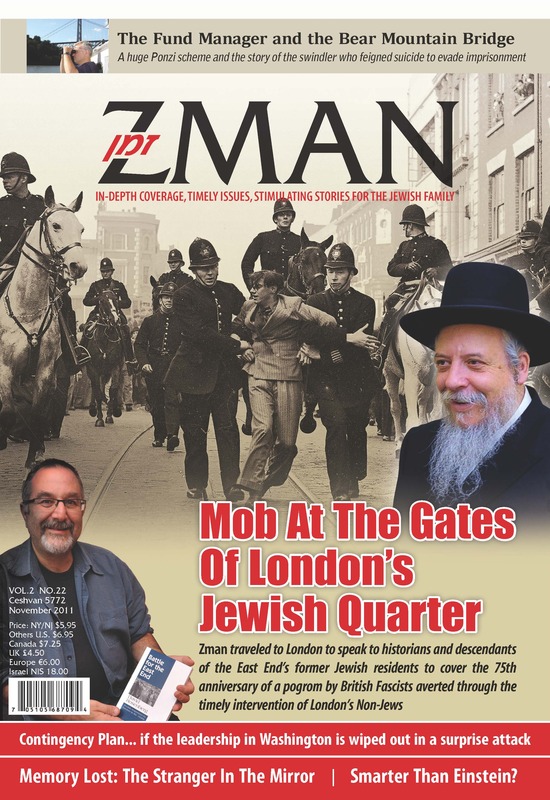 This entry was posted in Jewish Community, Zman Magazine and tagged Anti-Defamation League, anti-Semitism, Jew, Jewish, Ku Klux Klan, Leo Frank, lynching, Zman.